Lustrous milky white natural freshwater pearls in mixed shapes are delicately combined to form a beautiful flower design on these earrings. 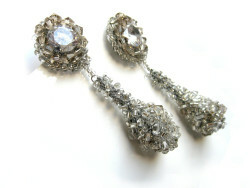 Add a dream touch to your special day! 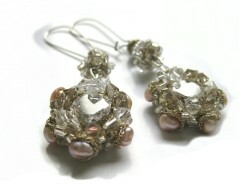 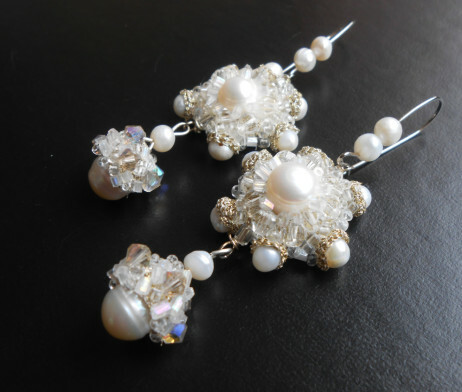 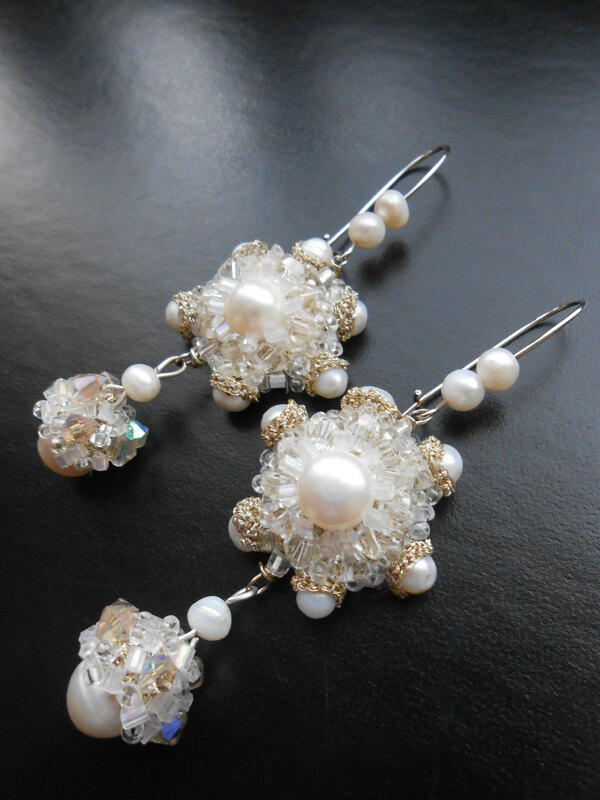 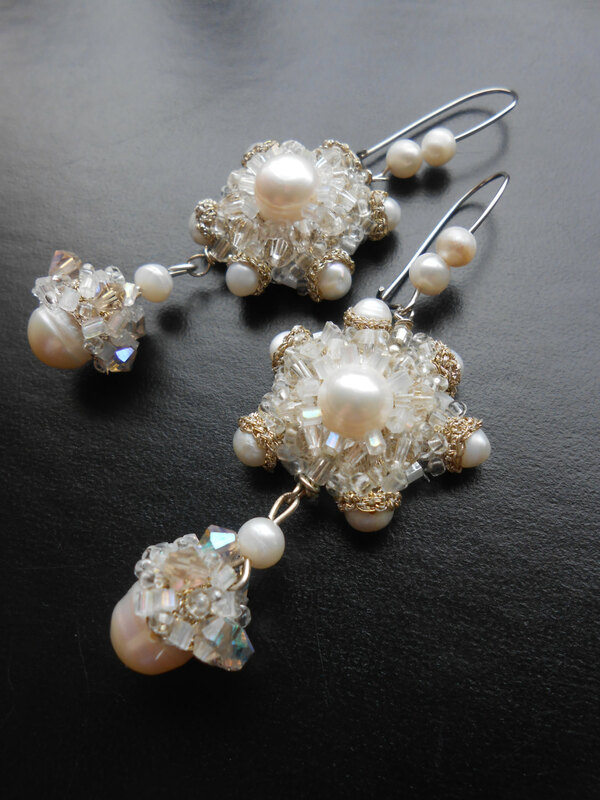 The earrings are made from opalescent white glass beads, milky white natural pearls, transparent crystals, golden thread lace. 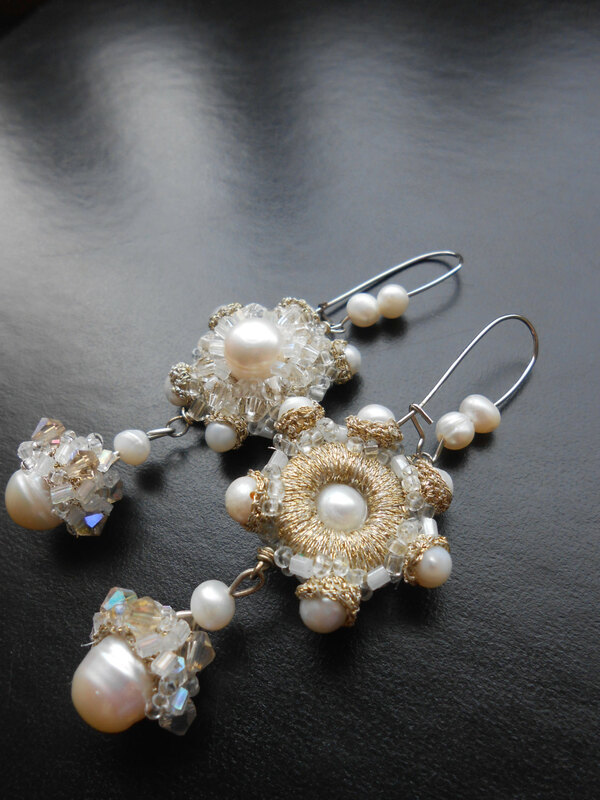 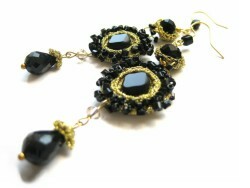 Zoom the images to see the earrings in details.